​Honestly, when my children were younger, I cringed every single time someone suggested a counter-service restaurant. 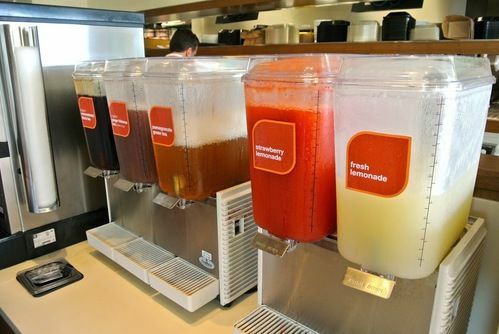 Seriously, who invented these restaurants? The last thing I wanted to do was get all excited about going to a restaurant for what I perceived to be “a break” and end up sweating profusely before I even got my food. First, I had to stand in line with my young children, figure out what we all wanted to eat while trying to keep the children contained in line, think about everything I needed to order at the same time (I mean who really wants to go back in line, wait and order again at the counter for things you miss), get four empty cups that I was responsible for filling, fill-up said cups while balancing a baby on my hip and watching two toddlers, put lids on four cups, locate straws, silverware, napkins and then the kicker, pray there was even a table available for all of us to sit at. Whew… now I am completely exhausted all over again! Stick with me. I have a point to this illustration, I promise. ​As a tired mom, I wanted to go someplace where I was served, where I was taken care of, where I was fed and pampered. Counter service was none of what I was looking for and in fact, I usually went home grumpier and more tired than if I had just stayed home and prepared a meal for my family all by myself. I left each time complaining about the entire situation. How many of us are like this in some areas of our lives? How many of us want to be served, fed, and taken care of way more than, if we are being honest, we care to do for others? For Christians, how much of this spills into our “church experience?” How many of us complain and become grumpy because “so-and-so” is not doing something correctly, the bathrooms were not clean enough, the ratio of care-givers to children in the nursery was appalling, the pastor did not seem super prepared, the Sunday School teacher totally got it wrong or offended you or worse, you were asked to give more or serve more…getting my point? How often do we complain without quieting ourselves and determining whether there is something more we should do to help – to serve – instead of wanting just to be fed, served and yes, have full authority to complain? Jesus said, “Even as the Son of Man came not to be served but to serve, and to give his life as a ransom for many” (Matthew 20:28). Jesus was a humble, servant leader who led from the front. He did not timidly stay in the back and in fact, told His followers to “follow Him” (Matthew 16:24). The Greek word for “follow” (akoloutheō) means to “join or accompany.” Jesus was not saying that He was going to do all the work. Instead He was telling His disciples they needed to take up their cross and join Him in serving (others…even those they did not want to serve) and sharing the Good News of the Gospel. Imagine with me for a minute. One of the busiest hospitals in town has only about twenty percent of its staff show up one day. This one particular day a major emergency happens in the city and dozens of people are rushed to the hospital. Aside from the catastrophic-in-nature event, the hospital is now short-staffed. There are not enough doctors so nurses and clerks are being asked to perform surgery. Housekeepers are being asked to administer medicine and start IVs. Average citizens are asked to give last rites to people on the brink of death. I know this is a dramatic example for the topic we are talking about, but it is a good one. Sadly, only about twenty percent are showing up consistently and daily to report for duty – for service. This not only exhausts the workers who do show up, it requires that many must work in areas outside of their gifting and calling. While it is okay to be challenged and stretched, continually working and serving outside of your inherent gifts are counterproductive and futile. It will not only burden the worker, but it will also set unrealistic expectations for the outsider. 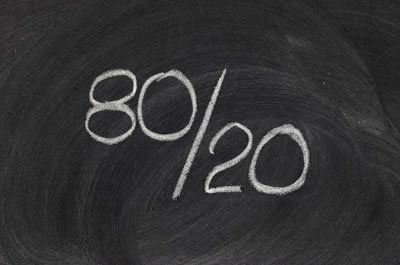 ​In most "volunteer" circles today, the 80/20 rule (Pareto principle) is quietly known and rarely ever spoken about in public. This rule – twenty percent of the people do one hundred percent of the work - is a very sad number. This twenty percent represents people who are tirelessly working (usually without pay) to do the work that everyone (usually besides themselves) gets to enjoy. These twenty percent serve in so many areas to take up the slack for the eighty percent not because they are saints, but because no one else will answer the call. God did not create it to be this way. God uniquely made each one of us (Psalm 139:14). He gives us gifts to be used in order to edify (build up) the Church, “Each of you should use whatever gift he has received to serve others, faithfully administering God’s grace in its various forms” (1 Peter 4:10 NIV). He does not just ask us if we would like to use the gifts He has given us, but He requires it of us – “Now it is required that those who have been given a trust must prove faithful” (1 Corinthians 4:2 NIV). He did not just give “some” gifts, but He gave us “all” gifts. What gift have you been given, but are not using to build up the Church, your community, and/or your family? Are you a part of the twenty percent or the eighty percent? What if each of us did one thing that we are truly called to do? I promise you, we would not all be doing the same thing. It takes a village! Be a part of His village.